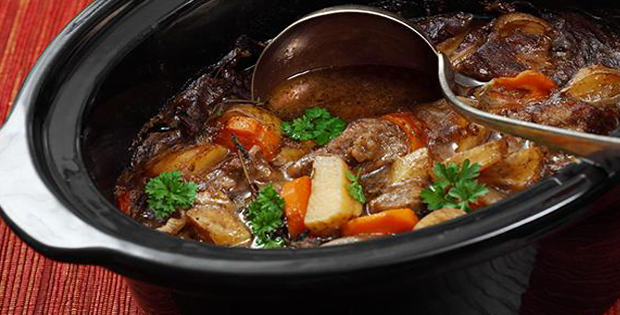 Serve the healthiest most scrumptious slow cooked dishes with these useful tips. If you want to be the best chef amongst your relatives and friends, then you will want to read ‘til the end of this post. But let me guess, you are a very busy person that you cant really spend so much time inside the kitchen to experiment on great tasting presentable dishes. Am I getting closer? Personally, it would be nice to prepare something that everybody will love. Seeing the faces of those eating satisfyingly and appreciating my home cooked meals is just such a delight. It is one of my favorite things in the whole wide world. And my slow cooker has helped me in many of those meals. And it is essential to have not only delicious meals but healthy ones as well. 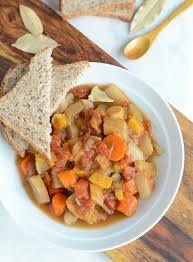 So what can make your slow cooker dish healthy? Of course, a lot of vegetables will play a very big factor. And if you are a meat eater, making sure that you use lean meat is a plus. And you have got to have lots and lots of flavor. Think of the slow cooker crock as a cupboard with shelves. Typically, you want the heaviest things on the bottom, right? Same with the slow cooker. You will want the densest foods — like fresh potatoes, carrots, onions, winter squash and celery — on the bottom because they take the longest time to cook. And be sure to cut these vegetables about the same size for even heating. Also, canned vegetables like tomatoes make great additions to slow cooked meals. Create extra flavor from meat by browning it first in a sauté pan on the stove top. Yes, this is an extra step, but it’s essential to creating a depth of flavor your family will enjoy. Start with thawed meat, preheat your pan to medium and brown each side for one or two minutes in a tablespoon of canola oil. Then add the meat to the slow cooker above the dense vegetables — this is your middle layer. During the last hour of cooking, add tender vegetables like mushrooms, zucchini, cauliflower, broccoli, spinach, peas, corn and peppers. Adding them as your top layer during the last hour helps them retain their shape and flavor. And of course, adding them in general means extra vegetables and nutrients! Just throw in these delicate vegetables right when you get home and let them simmer while everyone gets ready for dinner. 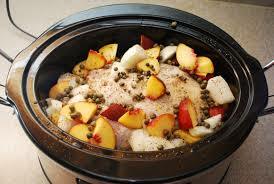 What are the best raw meats to use in the slow cooker? Some meats work better than others because of their cut and leanness. Great choices from the meat department are: beef brisket, beef chuck roast (including shoulder, blade and arm roasts), beef stew meat, pork tenderloin, pork chops and pork roasts, chicken thighs, chicken breasts, chicken drumsticks and turkey breasts. And if you are going meatless, canned beans, firm tofu or textured vegetable protein make great additions to a slow cooker meal. Food safety tip: If you are using ground meat — beef, pork, chicken or turkey — cook and crumble it first before adding to the slow cooker. Go for low-sodium flavor boosters. Add dried herbs and spices for extra flavor. Use canned vegetables, like tomatoes, without added salt. And at the end, stir in fresh herbs to brighten flavors. Keep the lid on it! Every time you peek, it can add 15-20 minutes to your cooking time. Start with thawed ingredients to prevent possible food-borne illness. It takes a while to cook frozen meats in the slow cooker and that can mean the temperatures are in the danger zone (between 40-140 degrees). The two-hour rule. 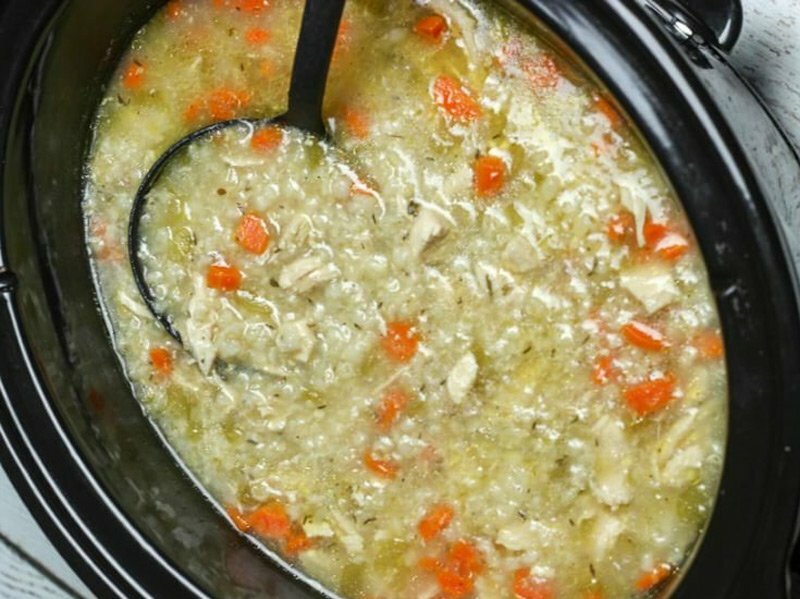 Once you have turned off the slow cooker, be sure to get the leftovers in the refrigerator in shallow containers within two hours. 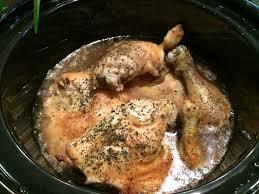 Make a list of five to 10 slow cooker meals that your family loves and put one on the menu one night each week. If you need to — and if you have a removable crock — make up the meal the night before and stick in the refrigerator. Just pull it out in the morning and set it on low — all the prep work is done. Rather than feel like you have to run through the drive-through on those busy nights, allow your “personal chef” to do the work. Use your slow cooker and these tips for family meals that will bring your family together in the kitchen. A very huge thank you to foodandnutrition.org for sharing these tips.